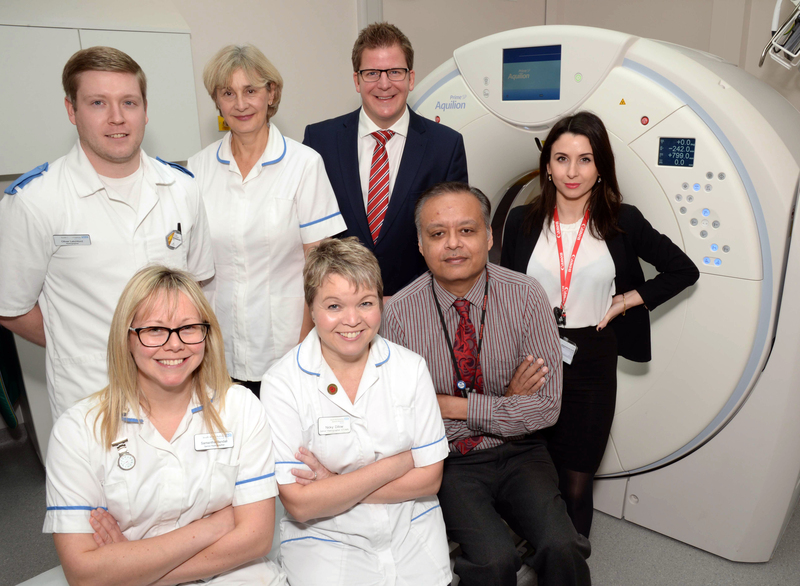 Canon Medical Systems recently supplied Warwick Hospital with a state-of-the-art Aquilion Prime SP CT scanner, including an upgrade to their Vitrea Enterprise system, providing advanced visualisation solutions for both Aquilion CT scanners at Warwick. Productivity is enhanced with the Aquilion Prime SP’s integrated workflow solutions, which render even the most complex tasks easy. The new all three phase variable Helical Parameters (vHP3) provides the flexibility to perform three separate scans into a seamless acquisition to potentially save radiation dose, contrast dose, or both. Overall fast scan times make vHP3 compliant to the needs of the patient, and shorten exam times for trauma imaging when every second is critical. A single series reconstruction enables several studies to be interpreted simultaneously for faster reading.